A winter in Warsaw, IN means lengthy periods of cold days and nights. But as long as you have a solid and reliable heating system installed in your house, you shouldn’t have any trouble making it through to spring in comfort. However, you may have doubts about your heating system’s performance—or perhaps you need a new heater installed. Whatever the case, this type of work calls for skilled HVAC technicians. Collier's Heating & Air Conditioning offers a full range of heating services for boilers, furnaces, heat pumps, radiant heating, and ductless systems, plus we specialize in geothermal heating. Whatever type of heating service you require in the area, you’ll find it with us. 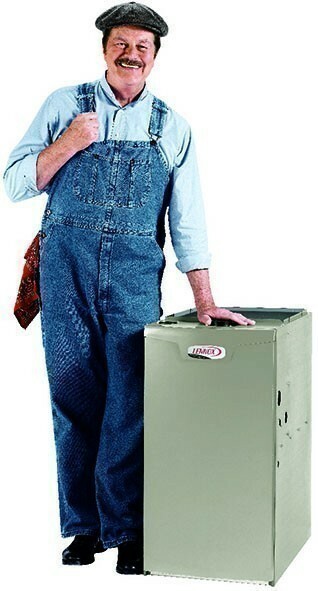 We have a reputation for getting the job done right the first time, so if you’re seeking quality heating services in Warsaw, IN or the surrounding areas, make us the first company you call. Are You Looking for a New Heating System Installation? Furnaces: Gas and electric furnaces are the most common types of heaters found in homes today thanks to their powerful heating capabilities and flexibility. Boilers: Using a boiler is an excellent energy–saving method of providing comfort. Boilers have long service lives and distribute heat evenly through rooms. Radiant heating: Heat coming from installations in the floorboards delivers a fantastic level of comfort. 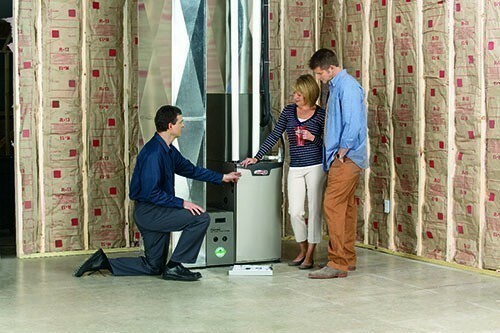 Heat pumps: These systems are two–in–one appliances that can operate as both air conditioners and heaters. Ductless mini splits: This variation on the heat pump allows a home to enjoy forced–air heating but without the need for space–consuming and dust–collecting ductwork. You must never attempt to fix a broken heater yourself. And it’s just as bad an idea to turn to an amateur offering suspiciously low prices to do the work. Instead, contact NATE–certified HVAC technicians, such as the ones on our staff, and leave the repair job entirely to them. We offer a 24–hour guarantee on our services, so no matter what type of heater you have in your home or what problem it has, you can count on us to be there fast to have it restored. To help prevent emergency calls in the future, as well as to see that your heater runs for the most years without wasting power, sign up for our Home Savers Club that will annually maintain your heating system. We offer three tiers of membership to fit with your budget. You’ll have a hard time finding an HVAC contractor in Warsaw, IN who offers a greater range of heating services than we do—or who a higher level of quality. Our technicians are not only highly trained, but they stay on the edge of current technology so they can always offer you up–to–date services at competitive rates. On each visit, we’ll treat your home with respect and aim to provide complete customer satisfaction. It doesn’t matter if you want to arrange for a full installation of a new radiant heating system for your home or if you need someone to investigate the strange sounds from your furnace, make Collier's Heating & Air Conditioning the first company you call in Warsaw.